It’s 2019, and yet somehow, there’s still a lingering misconception that online and offline shopping experiences are at odds with one another. While it’s true that the convenience of online shopping is appealing to (and often preferred by) many consumers, brands still need to consider their various other channels to create a more complete customer experience. On the surface, these two approaches look fairly similar. Both share the same goal (more sales) and end user (the customer). Both involve multiple touch points, both physical and digital. 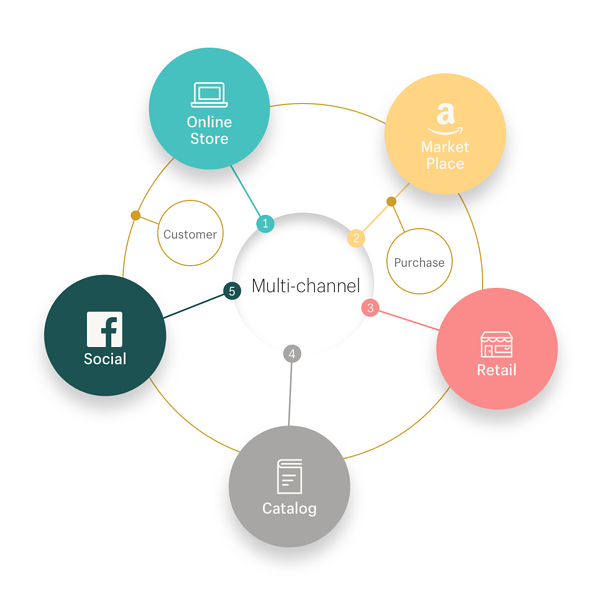 So, what is the difference between multichannel and omnichannel marketing? 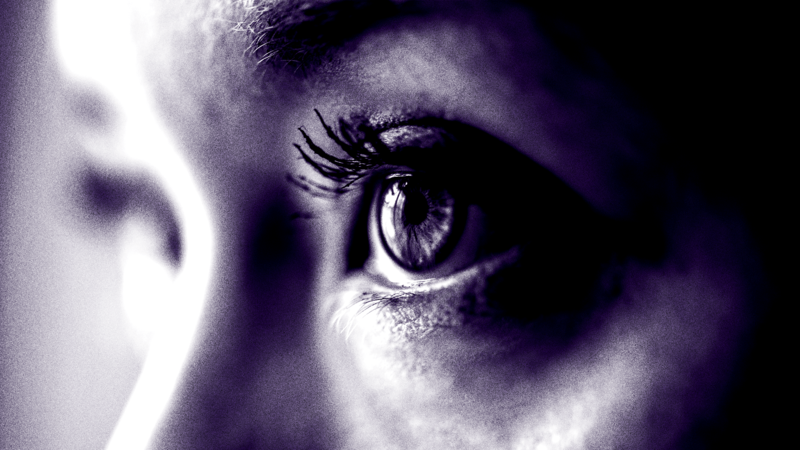 And which should you consider to create a more seamless brand experience? It’s exceedingly rare that the entirety of a brand’s customer base will be on a single platform, so obviously, marketers need to utilize more than one platform to reach everyone. That’s where a multichannel approach comes in. In a multichannel approach, these all operate independently from one another, islands unto themselves. This gives the customer the choice of where they will ultimately interact with or buy from you. Different types of messaging work for different types of people. A multichannel approach allows you to cater communications based on the medium. For example, your social media assets could remain short and to the point, which is suited perfectly for users that scroll through their feeds at the speed of light. Conversely, you can flesh things out in more detail in an email (like, say, a newsletter) and incorporate more visuals—an approach that could work for a customer who needs a lot of information before they consider buying something. One thing to consider is the good ol’ Rule of Seven, which says that a customer needs to see your brand or advertisement at least seven times before they buy. With a multichannel approach, you can cover your bases to ensure that no matter what platform a customer is using, there is a good chance they will encounter your brand. All that being said, multichannel marketing is disjointed by nature, which doesn’t always fly with customers that expect a totally seamless shopping experience. To put it in a real-world context, it might mean that if a customer buys your product at a store, they can’t return it online, or vice versa. These entities exist on their own, under the same brand but operating separately. From a marketing standpoint, it means that plans and promotions could vary, with each channel having its own strategy rather than one overarching plan. Imagine seeing a great deal on Facebook, only to go to the store and discover that the promotion is online only. The disappointment you’d feel would color your perception of the brand, and may even turn you off the purchase altogether. Brands using a multichannel marketing strategy may find themselves hitting a brick wall in the future, as 60% of Millennials alone say they expect consistent brand experiences—and that doesn’t even account for the even more connected Gen Z. This siloed marketing strategy takes that away from them, and can ultimately affect your bottom line. 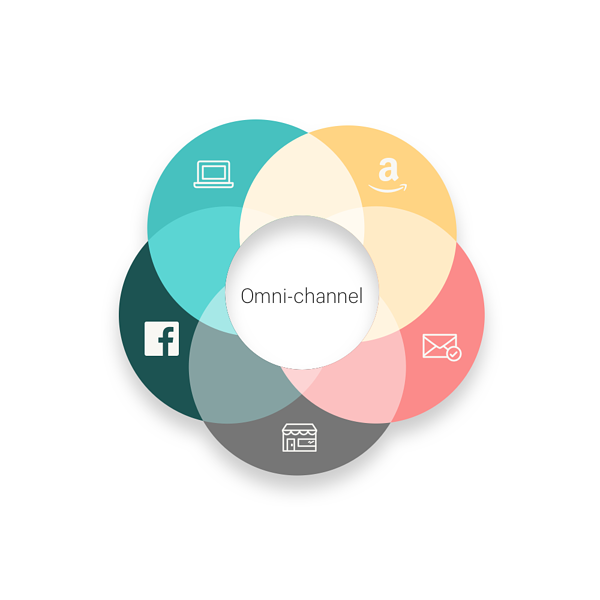 Omnichannel marketing is an approach that creates an integrated brand experience across all platforms. All channels act together as part of one seamless machine. Imagine scrolling through Instagram and coming across a promotion for a product you’ve been seeing billboards for a lot lately. A bell goes off in your head. You click the call to action and you’re brought onto the company’s website, where you punch in the promo code and get a sweet, sweet discount. Furthermore, your information and preferences are saved, so you begin to get emails catered perfectly to your needs, including future discounts on related products that you can purchase online or at the company’s physical store. The entire experience is seamless. You can practically hear the customers zipping down the pipeline with little to no friction or hang-ups in the process. This is an incredibly effective strategy, and it’s backed by the numbers. According to Emarsys, companies that create omnichannel experiences have a 91% higher year-over-year increase in customer retention rates. That alone is enough of a reason to consider this approach. Additionally, omnichannel marketing can contribute to your overall brand consistency. It ensures that customers receive the same messaging across various channels as they naturally move from platform to platform. This is important when trying to build a complete and cohesive brand experience. Whether a customer is online, in a store, watching a branded video, or opening an email, you want them to always be greeted with consistency. There is a tendency to consider the many channels available to connect with consumers today as simply more options to be used. That’s more of a multichannel approach. Omnichannel involves using data to understand where effort exists in the customer experience and how to remove, rather than add effort. To successfully implement omnichannel marketing, all departments have to be aligned on messaging. Omnichannel marketing seeks to remove as much effort from the customer as possible, creating a truly integrated shopping experience. While omnichannel marketing may be more effective than a multichannel approach, it is not without its challenges. For starters, omnichannel marketing is far more difficult to optimize for, as the marketing team has to bring many different elements of the brand under one roof. The integration of omnichannel marketing can also change the entire culture of a business. In many instances, brands will have to change their point-of-sale systems to integrate with the other branches of the company. And the sales team might be hesitant to embrace the ecommerce side of things, especially if they work on commission. Luckily, many of these hurdles can be overcome with technology that allows you to track in-store interactions with customers who then go on to purchase online. This encourages staff not to act in a siloed way, and to embrace the unified experience. If the full branded experience of the omnichannel approach is to be utilized to its full potential, all messaging must be consistent, including that which comes from the employees themselves. Many brands can benefit from a multichannel approach—especially if they’ve been falling behind on evolving their marketing strategy to meet modern standards. That said, an omnichannel approach should be the ultimate goal for any brand looking toward the future. Customers are expecting a seamless transition between platforms, and they will flock to brands that are willing and able to give it to them. While a switch to omnichannel marketing might not be feasible at present, it is a long-term destination that every brand should be aspiring to.